I hope most of you know who I’m referring to, but if not, he was the keyboardist, and along with Jim Morrison, one the two founding members of my favorite band of all time: The Doors. This is sad news. Ray played a pivotal role in the influence of the man that I am today. I learned a lot from the music and stories of The Doors and though I’ll never have the chance to say so, I owe these four guys a great deal of thanks for nearly everything I’ve seen and accomplished. I was lost before I started listening to them. I hated a lot of people and things, I felt cheated by the world and its constant let-downs, and it was only when I was playing chess with my college roommate, listening to his The Doors Greatest Hits album that it occurred to me that I am, and always have been, a monumental fan of the band, more keenly a fan of Morrison’s. 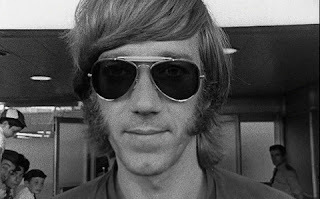 Jim is my all-time favorite artist and Ray was the light that guided Jim back from sea time after time. Every Jim in the entertainment world needs a Ray to stand by his side, when the rest of the band is ready to kick the “Jim” out due to drunken, wasted shenanigans, the “Ray” is always there to remind the others what “Jim” brings, musically, creatively, and artistically. A reminder that what is brought can never be and will never be replicated by another to the same degree. It is truly a sad day, but with the same flip of that coin, I am extremely happy that Ray and Jim will be together once again. Goodbye, “Beautiful Friend”.